1m., 6 sp.st., 1c., tr. Man: 8.8 divided.8.4.4. Ped: 16. 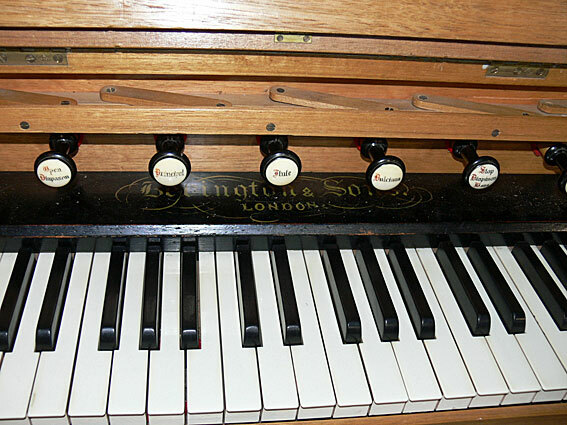 The organ was built in 1868 by Bevington & Sons, London, for Trinity School Room, Launceston. 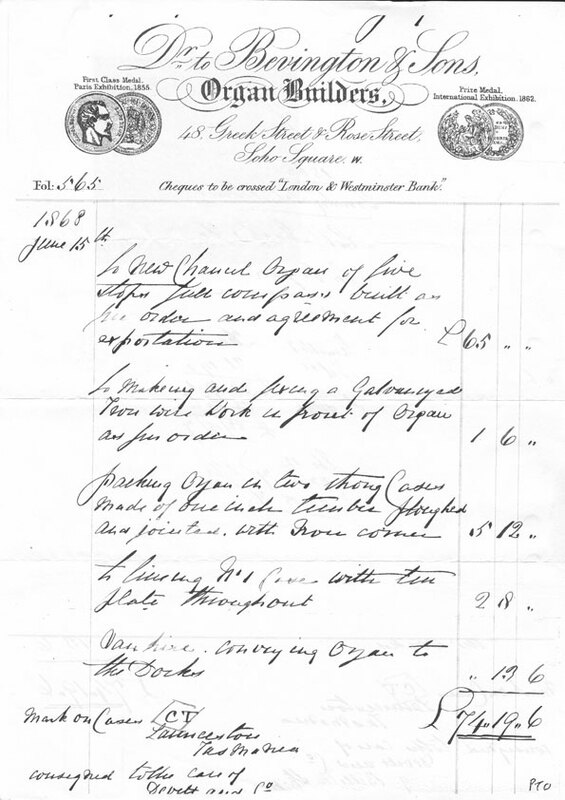 An invoice from this firm, dated 15 June 1868, fol: 565, is held in the archives of Holy Trinity Anglican Church, Launceston.2 The invoice has been marked on the rear "1868 Trinity School Fund Robert Sharpe E[squir]e for Organ." 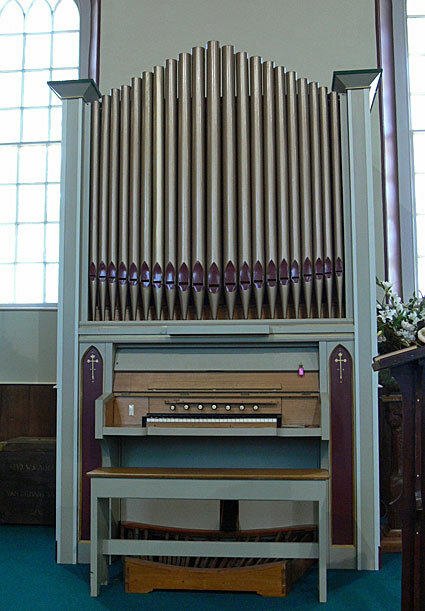 The cost of the organ was £74 19 6. 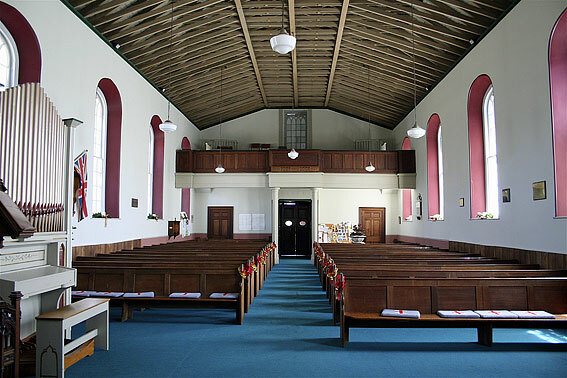 Secondary sources suggest that the organ was placed later in the Congregational Church, Tamar Street, Launceston; however, this is unable to be substantiated.3 It could not have been before 1881 when a reed organ was in use there. 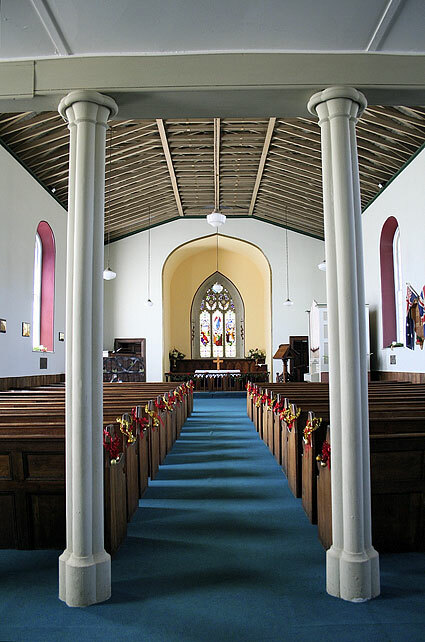 The organ was installed in St John's Anglican Church, Devonport in 1909, the gift of a parishioner, later indicated as Mr A. Munnew, where it was first used on Easter Day.4 It was rebuilt in 1966 by K.R. Davis & Son, at which time a new case, radiating-concave pedal board and swell box were provided. 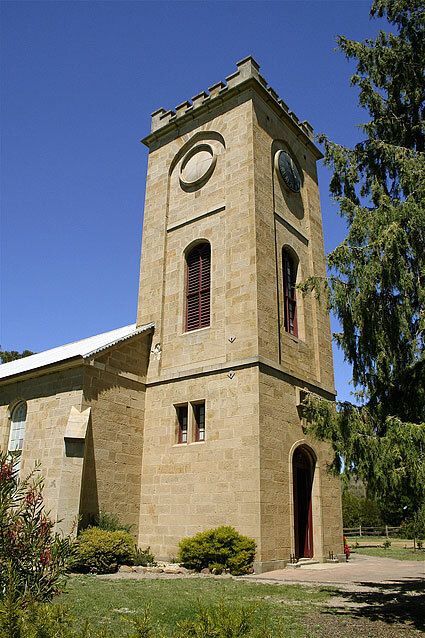 The organ was installed at Richmond in 1984 by Australian Pipe Organs Pty Ltd when the Devonport church acquired a larger organ built by Fred Taylor for a church in Melbourne. 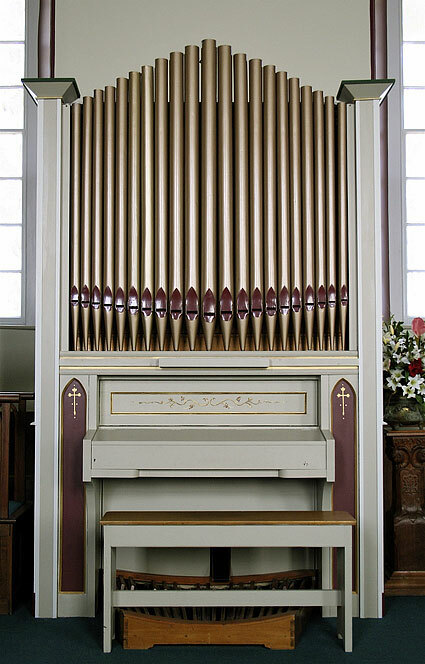 More recently the casework of the organ has been painted and cornices placed on the upper side sections, with a marked improvement in its overall appearance.5 The builder's name in painted in gold on a board behind the keys. 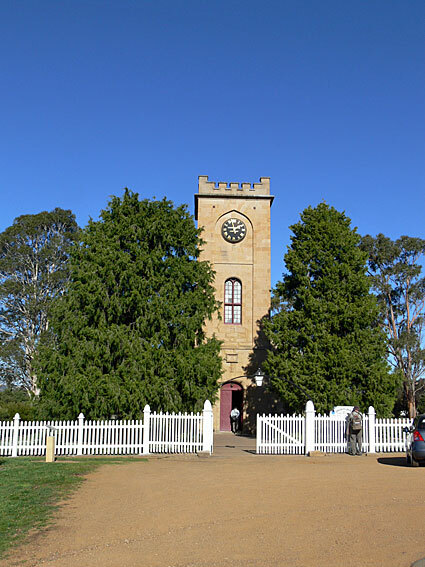 1 St Luke's Church of England, Richmond, Tasmania, n.d.